It is not Summer yet. I mean, it’s snowing in the Northeast but that doesn’t mean a girl can dream. Making this and standing in front of the heater is a good place to start. This cocktail is super easy. Have you ever tried rosé vodka? It’s my new obsession because it’s so smooth. Of course, if you don’t have it, not to worry. The regular stuff works well too. 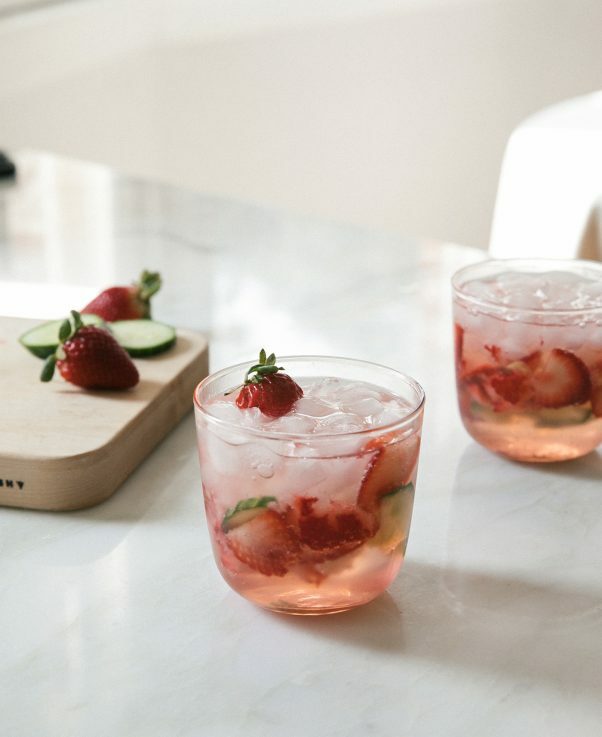 This drink is ready in 1, 2, 3…all you’ll need is a bit of simple syrup, some muddled cucumbers, strawberries, some vodka (duh) and a good splash of sparkling water. It’s a good little cooler in the middle of spring when it’s cool and crisp outside. I know everyone is dreaming about summer temperatures but I’m still excited about Spring fruit, including gorgeous strawberries that are bursting at the farmer’s markets! In a medium saucepan, set over medium heat, combine the sugar and water. Stir until dissolved. Set aside until room temperature. Add a tablespoon of simple syrup to two glasses. 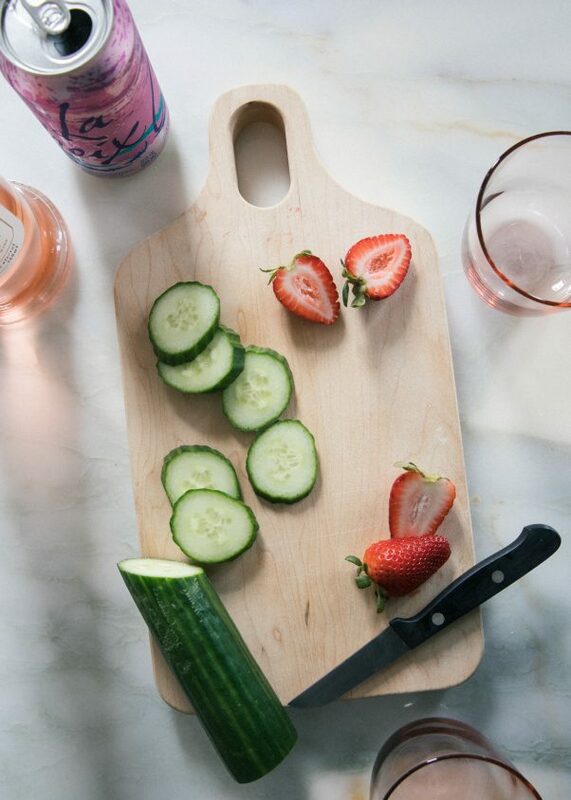 Add a few slices of strawberries and cucumber to each glass. 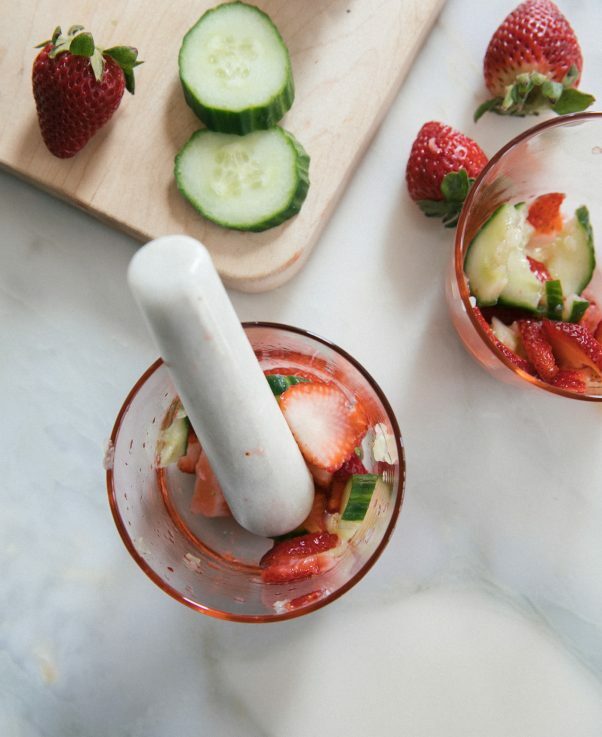 Muddle the strawberry and cucumber together. 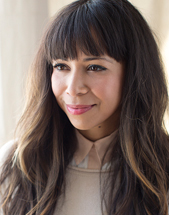 Pour in the vodka and then add a splash of sparkling water or La Croix. Give it a stir and then taste test. 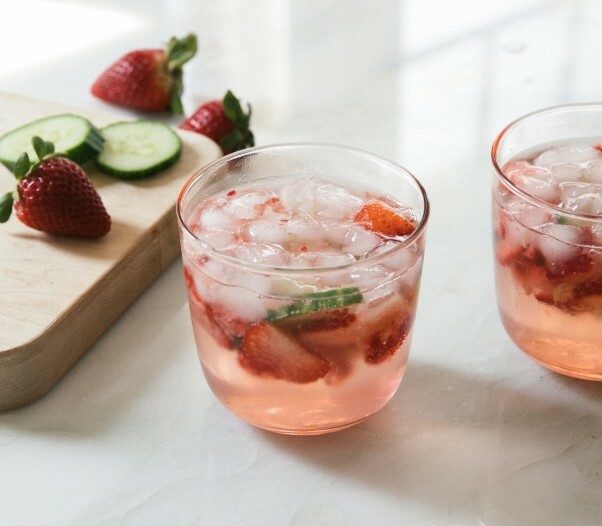 Garnish with slices of strawberries and cucumber.